I'm happy to announce the release of NCrunch v3.24. Although the release notes for this version are not particularly long, it is a very significant release and has been several months in the making. 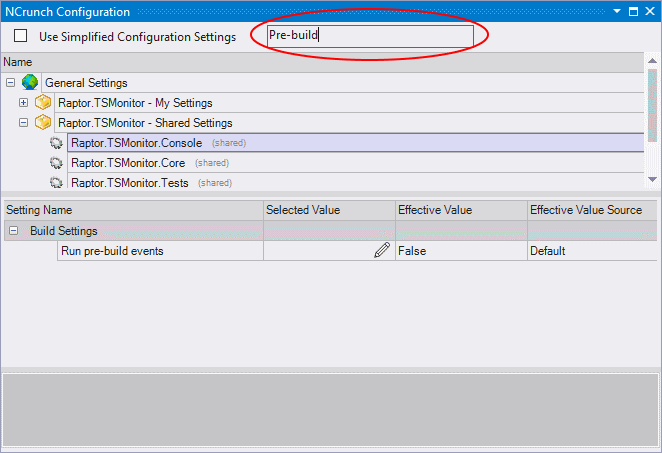 NCrunch v3.24 is the first version of NCrunch to introduce experimental support for VS2019. VS2019 has so far been a particularly painful iteration for us. In this version of VS, MS has introduced a new extension loading system that is entirely asynchronous. The IDE will no longer load extensions using the old synchronous system, which for all its notoriety managed to stay relatively stable for many years. The new loading system introduces a potentially massive range of edge cases, as the extension can now be loaded at any time by the IDE, potentially very late in the session. We hope that we've managed to cover all of these, but if you do find any strange holes in this please take the time to report them to us in the support forum. Another change introduced in VS2019 of a more controversial nature is the new Extensions menu. From VS2019, extensions are no longer allowed to create their own top-level menu inside VS. Instead, all extension menus are grouped together in a separate menu where they can no longer be accessed through a single mouse-click or shortcut key. This affects us significantly, as it does other productivity centric extensions (i.e. ReSharper, CodeRush, JustCode, etc). If you're unhappy about this change, MS are listening. We've now introduced a new search option in the Configuration Window. This option lets you filter down all the settings in the lower pane based on your keyboard input. It takes focus from the list controls when you type, so you can just start typing at any time to narrow down the settings. Over the years we've introduced far too many configuration settings to handle so many edge cases. This feature helps make the maze of settings more manageable. Previously, it's only been possible to switch engine modes using the NCrunch top level menu inside VS.
We've now introduced a new option to let you switch engine modes conveniently from the Tests Window. Options like this are fast becoming very important with the loss of our top-level menu. With VS2019 due to hit RTM on the 2nd of April, the next two months are likely to be quite rocky in the .NET space. Most of our focus over this time is going to be on responding to the new challenges introduced by VS2019 and on fixing presently undiscovered problems.